Home > CVS > Starbucks Refreshers Coupon | 21¢ at CVS! Starbucks Refreshers Coupon | 21¢ at CVS! For all the Starbucks lovers out there, you will be happy to know the Starbucks Refreshers coupon has reset! 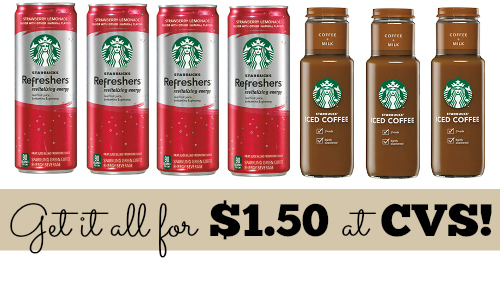 Grab Starbucks Refreshers for as low as 21¢ each this week at CVS. If you haven’t tried Starbucks Refreshers, now is a great time to try them while they are on sale! –like getting it all for $1.50 or 21¢ ea.